I watched a cooking demo (mashed potatoes with goat cheese). The chef cooled the dish then put plastic wrap over the top followed by heavy duty foil. He said to reheat the dish to put the whole thing (plastic wrap, too) into a 400 degree oven for 30 minutes. He contended that this was a little secret that restaurant chefs used all the time. Are you acquainted with this method? Heavy duty foil is actually a freezer quality material that prevents freezer burn, plastic wrap on the other hand is not. So you can leave off the plastic wrap and just use the foil to the same effect without worrying about putting plastic wrap in the oven. So with that covered, yes I have heard of the technique. Many people like to bake their mashed potatoes or make mashed potato casseroles. Just about any recipe will work as long as all the add ins, like the goat cheese, can be frozen. 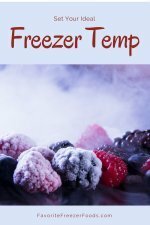 Here a list of foods that do and don't freeze well. Did you take note of what kind of pan he used? Some glass pans will shatter going from the cold temperatures in the freezer to the hot temperatures in the oven. 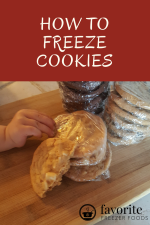 Silicone would work fine from the freezer to the oven, but you'll want to freeze the silicone pan full of potatoes on a cookie sheet to keep it nice and flat and easy to stack. A metal pan, like many restaurant chefs use would also work fine and you won't need the cookie sheet. While this method is great for a big family or a big holiday meal for an everyday side dish I use a different method of freezing make ahead mashed potatoes since it's just me and my husband. We freeze mashed potatoes in scoops on a cookie sheet then store them in a plastic freezer bag. Use a metal scoop like an ice cream scoop with the wire spring that pushes the contents out. This way we can have one or two servings each without any leftovers. Heat in the microwave and they are ready in minutes. One last tip for mashed potatoes; I've had better luck with waxy, low starch potatoes like reds than with high starch potatoes like russets. The higher starch ones can get grainy in the freezer. I LOVE mashed potato but live alone. I've recently started the 'flash freezing' on a cookie sheet of serving sizes and was wondering how to do it with mashed potato. I will most certainly put my ice cream scoop to use. Thank you! Since you've already got flash freezing down and have a cookie scoop you'll find this easy. Here's the method I use for individual servings of mashed potatoes.